550 Howard Street, a mixed-use skyscraper San Francisco, is going through the approval process with the city’s planning department. This development project is another tower to be built in Transbay Parcel F and will be the fourth tallest building in San Francisco behind the Salesforce Tower, the Oceanwide Center and the TransAmerica Pyramid. 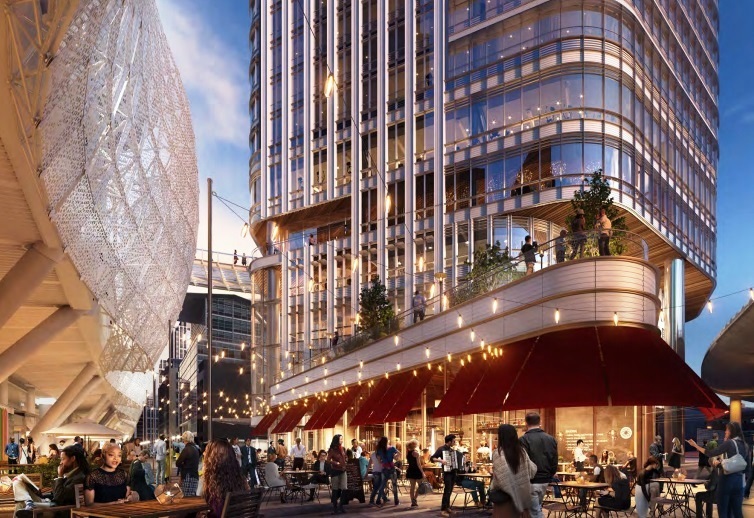 The proposed 806 ft tower is being designed by starchitect Cesar Pelli of Pelli Clark Pelli, who was also the principal architect of the Salesforce Tower currently being built. 550 Howard will have numerous uses. The top 27 floors are planned for 200 residences. A 13 story hotel with 250 rooms is also being planned along with 16 floors of office space. Groundbreaking has not yet commenced, but we are looking forward to see how this will change the San Francisco skyline in 2020. 550 Howard is proposed to be a 64-story tower with highrise condos on the top 27 floors. These top floor luxury residences are expected to have exceptional views of Downtown San Francisco’s city lights, the Bay Bridge and the San Francisco Bay. What’s cool about the general Transbay area is that an entirely new neighborhood was planned in an existing space, which was conceptualized by the city about 10 years ago. 550 Howard is in the heart of this new district that is transforming from a former industrial area into a futuristic neighborhood. 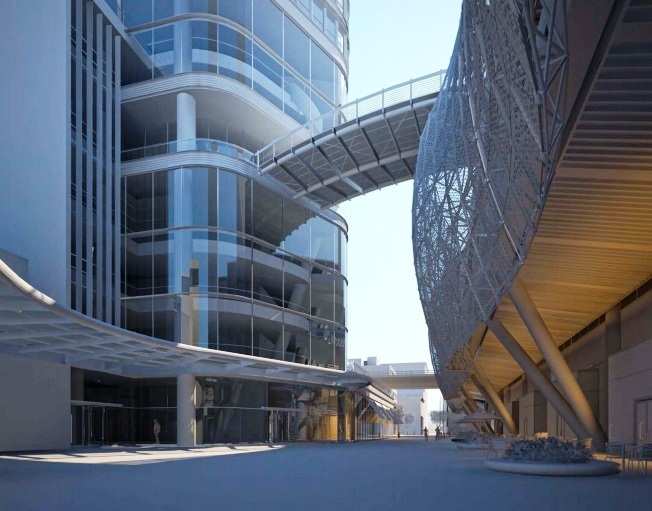 Plans for a pedestrian bridge on the fifth floor of the tower will connect to the Transbay Terminal rooftop garden and event spaces. As part of the plan, there will also be neighborhood amenities such as cafés, restaurants and a pedestrian mall on ground levels dotted with public art installations. This is all within walking distance to Downtown San Francisco and the Financial District, while still being directly accessible to public transportation options headed toward the east bay and the peninsula. 550 Howard is all about urban, sophisticated living in a thoughtful, futuristic setting. Amenity details at 550 Howard is unknown. Stay tuned for more details and final approvals of this exciting project. 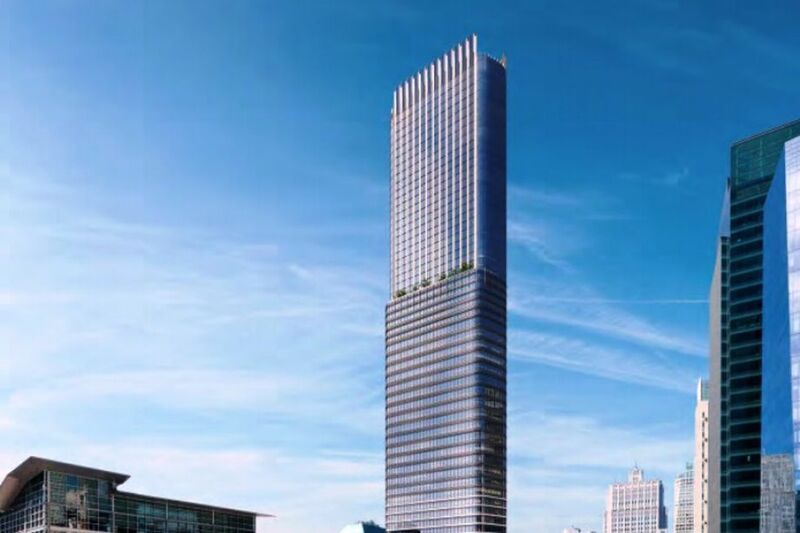 Refined Designs and Feedback for the Fourth Tallest Tower in S.F.